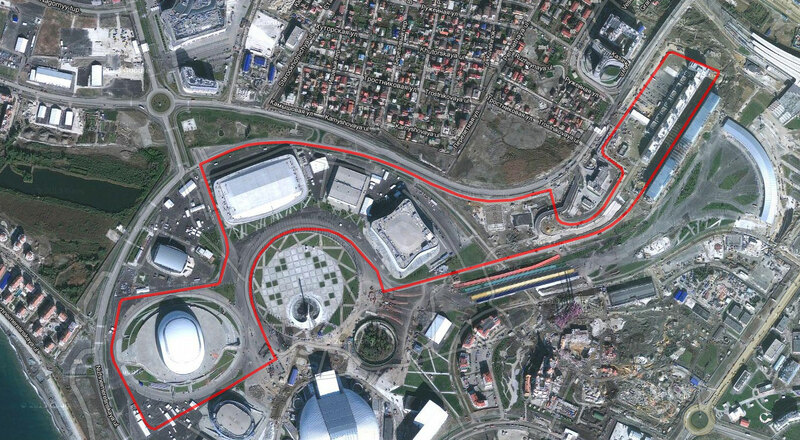 Sochi is a low abrasion track with a number of right angles corners [ten right angle corners to be exact] and two fast stretches. It would seem like, this could bring Redbull into the fight for the win. Mercedes have been strong here in the past, but that was when they had speed advantage over all comers. This time round, they are struggling to keep up with the Ferrari cars. But are somehow managing to stay ahead due to a recently found solution to their tyre degradation problem during the race at Singapore. Would that fix work on the low grip surface of Sochi? Sochi is a "must win" race for Ferrari and Vettel especially. The constructors and drivers championship are slipping away from Ferrari with six races left in the championship. Chances are, if Ferrari mess up in Sochi, it would be difficult to see them as contenders for both titles for rest of the five races. Another missed opportunity possibly. Hence Ferrari must approach this weekend with excellent preparation and determination to win this race. From Mercedes perspective, they are in a unique position to deal the first death blow to the faltering black stallion. Failing to do better than Ferrari in this race would leave the door open for Ferrari to drag the fight out to the last race in Abu Dhabi and potentially steal one or both of the championships in the process. It is tight and highly charged going into this race with a great deal to be won or lost by the leading pair. I am hoping the championship do not end too early. Hence l am hoping that Ferrari would do their utmost to ensure they win this race, so that we have an exciting fight to the end of the season. That said, may the best man win! Last edited by Nitrodaze; 29th September 2018 at 05:30. Ferrari needs to stop shooting itself in the foot. Mercedes has done no wrong outside of Austria so Ferrari need to be inch perfect the rest of the way. Red Bull are only Max at this point and his car just isn't much up to the task of winning a race. Considering his car will probably break down. I hope Ricciardo gives this race a miss so he can watch his Australian Football team, West Coast Eagles, demolish the Collingwood Magpies this weekend in the AFL Grand Final this weekend! Ricciado is saying there is some degradation on the track this year. Hence, it may be a two stop race on sunday. Both Redbull may be starting from the back but they seem faster than the Ferrari. Given that Mercedes have a great chance to close down the drivers championship, are they going to let Bottas race Hamilton for the win? It is a hard one; since Bottas has not won a race this year and this may be his first. Last edited by truefan72; 30th September 2018 at 13:23. I think driver of the day was Max Verstapenn but Leclerc was brilliant.